The name is indicative and tells you that with SuccessFactors, you cannot go wrong. First, ask yourself: Whatare the success factors that would enable you to make your organization competitive and operate at peak performance? Will these success factors translate into higher revenue, lower costs, and ultimately sustainable growth? There is a single success factor in all businesses in any industry in any place in the world, and that is people — that is, if you know exactly how to get the right people on board and give them the right task. Using an HR software thus would be a sound move for your company. Human capital is the single biggest determinant of success — or mediocrity or failure. When you have the right team, you can measure your performance easily against targets. An HR management software like SuccessFactors will help you land the right tasks for the right people. When SuccessFactors began years ago, its human capital management business employed the SaaS — software as a service — business model. This meant that the software was not bought in the same way as one would purchase a product, say a carton of milk from the supermarket. Instead, because it is a service, customers simply paid a fixed amount for the right to use the technology that is available on the cloud anyway. In this manner, the need to upgrade or update the software is eliminated. The service provider’s task is to make available the latest, updated technology so that the customer can focus on the business itself. So where does SAP come in? SAP, like SuccessFactor, has been an eestablished name in information technology, having provided end-to-end business solutions to companies all over the world for the past 40 years. The SAP SuccessFactors synergy means twice the benefits for the deecision maker who wants the best in terms of managing human capital. We have plans and strategies, but how do we execute these and make them translate into observable, measurable results? 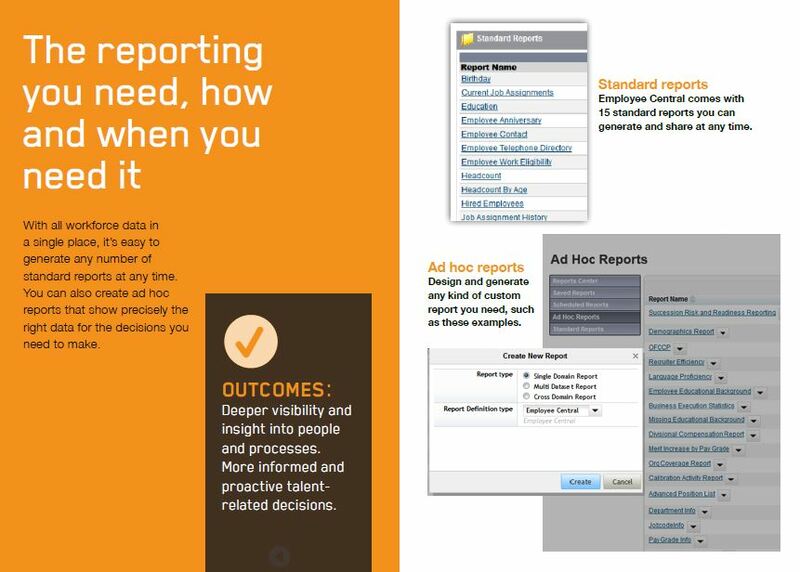 The SuccessFactors suite enables you to align your workforce with strategy, optimize their performance and accelerate business results with the insight to run your organization better. 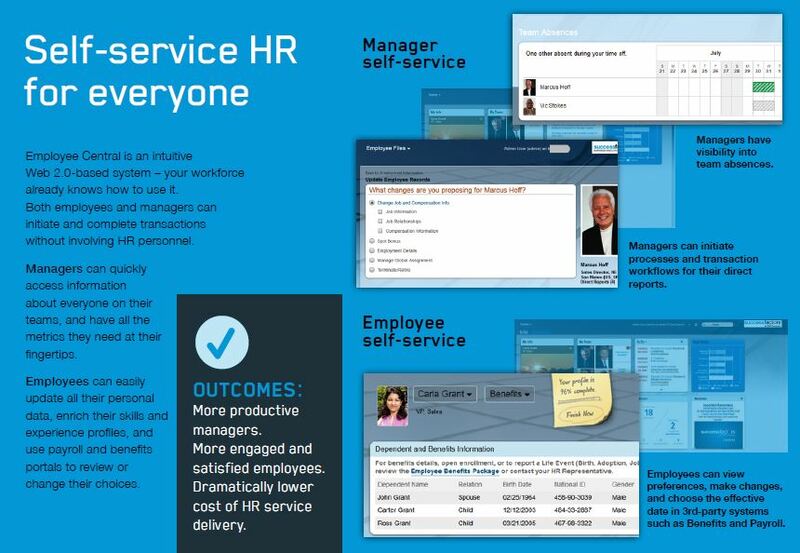 Finally, SuccessFactors introduces us to the concept of ROX — return on execution. It’s a way of thinking about performance in terms of how strategies are actually set in motion by the warm bodies who make up the most important, indispensible part of the organization. The best part is that SuccessFactors is on the cloud and is accessible to your decision makers from anywhere at any time of day, without the usual hassles related to the on-premise,bulky, potentiallly obsolete systems. Success Factors now has more than 20 million subscribers and 360 custimers in 168 countres, spanning 35 languages and 60 industries. These companies have outperfrmed their peers and the market iself, achieving two to four times greater performance in the stock market compared to the major indices. 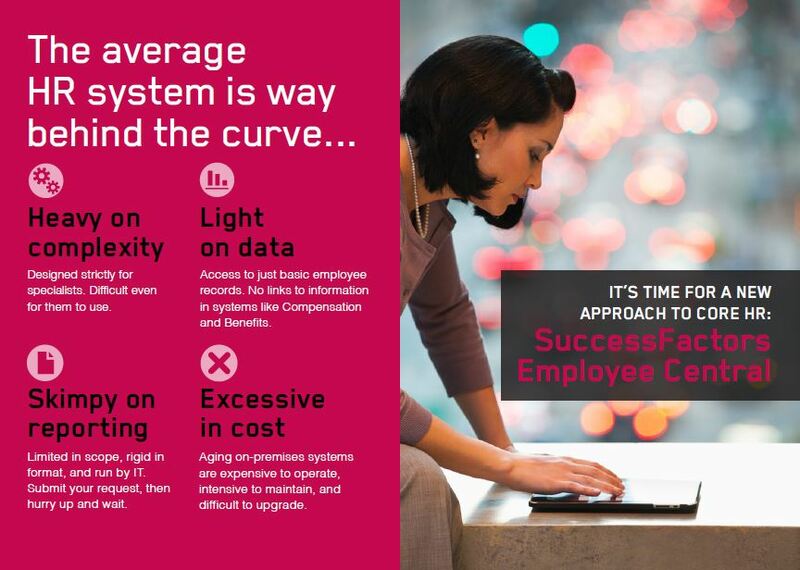 What is SAP SuccessFactors, and what can it do? The answer- what can’t it?